Who doesn’t want an all white kitchen? They’re pure, clean, and beautiful in any style. Whether you are looking to create a traditional, contemporary, or transitional ambiance, you can’t go wrong with white. It’s the ultimate neutral so every color looks great paired with it. Here are some tips to make sure your white kitchen doesn’t look like everyone else’s. Since cabinets are the most visible aspect of an all-white kitchen, we have designed endless options for creating the perfect feel. 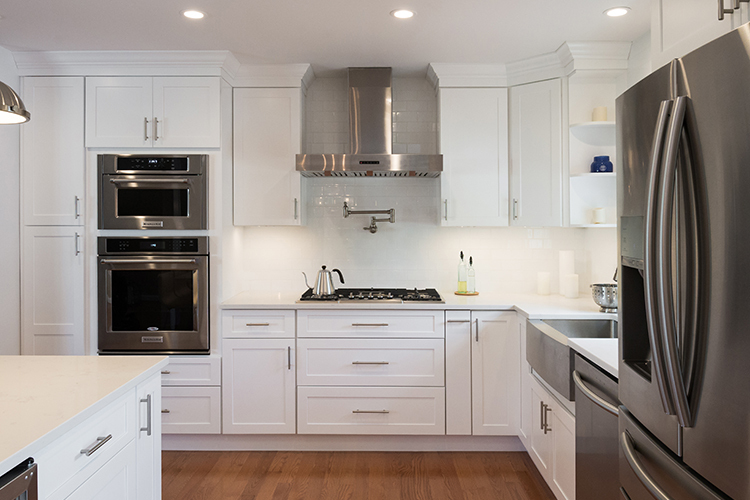 With so many possibilities, you really can build an all-white kitchen that reflects your personal style. For a polished look: Fabuwood Allure galaxy cabinets in frost. For a modern look: Fabuwood Prima Bianco or Allure Nexus Frost cabinets. For something more traditional: Fabuwood Classic Wellington Ivory or Allure Fusion Blanc cabinets. We also offer customization and modification opportunities – so if you’ve got something specific in mind, we can make it happen! Bring in color: White is the most versatile color. You can change the look in a minute with bright kitchen towels, colorful appliances/dishes, fruit bowls, or a vase of flowers. Work with paint: Paint is one of the easiest and most affordable ways to update your kitchen. 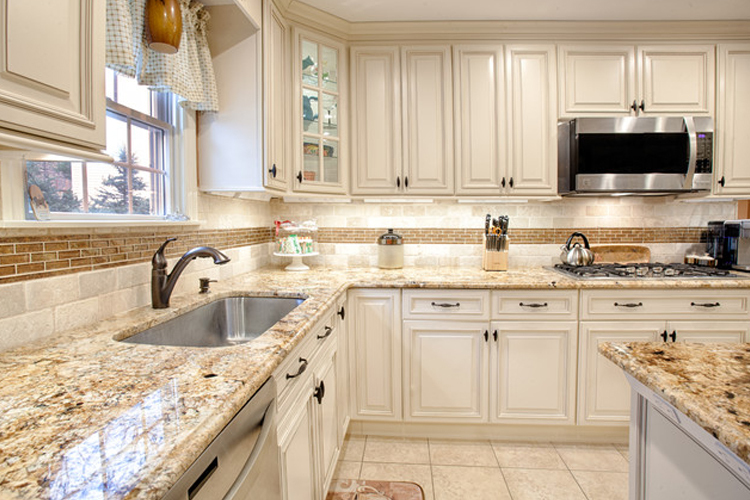 You can paint your kitchen back-splash a solid color, use a stencil, or even create the look of faux tiles or brick. We love using paint in a kitchen because you can easily change the color and feel when you’re ready for something new. 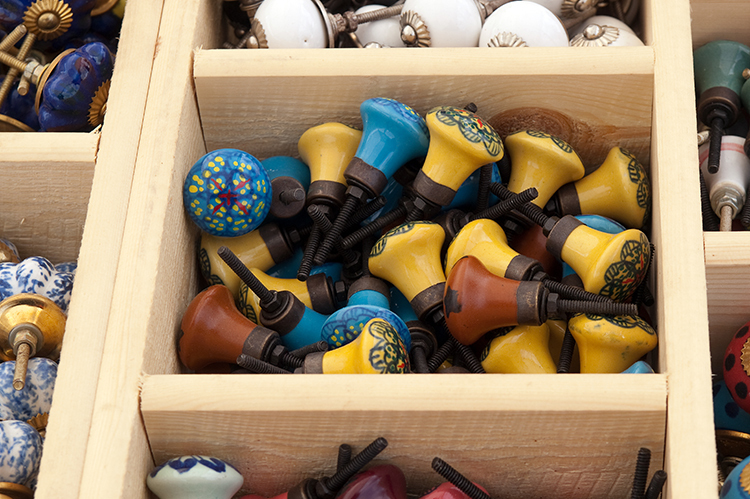 Seek out alternative handles/knobs: Metal and wood are the obvious choices when it comes to handles and knobs. 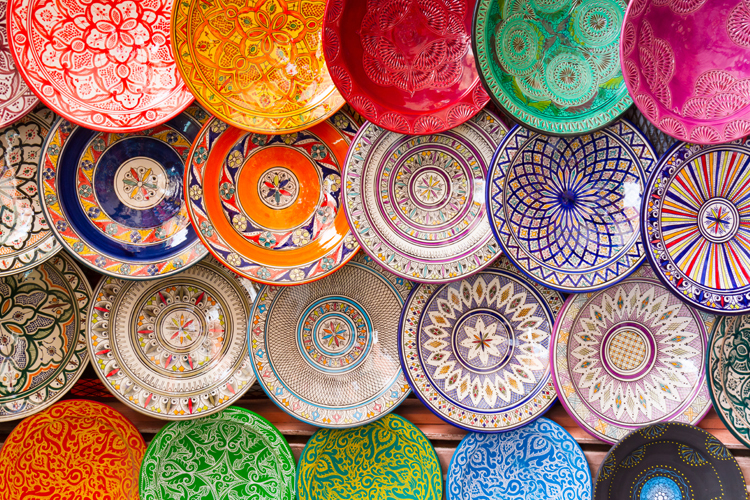 Try going with something a little more unusual to give your kitchen a unique look. Always look for opportunities to add a lot of visual interest to your all white space. It’s the layering of all these interesting elements that makes a kitchen special and visually appealing. 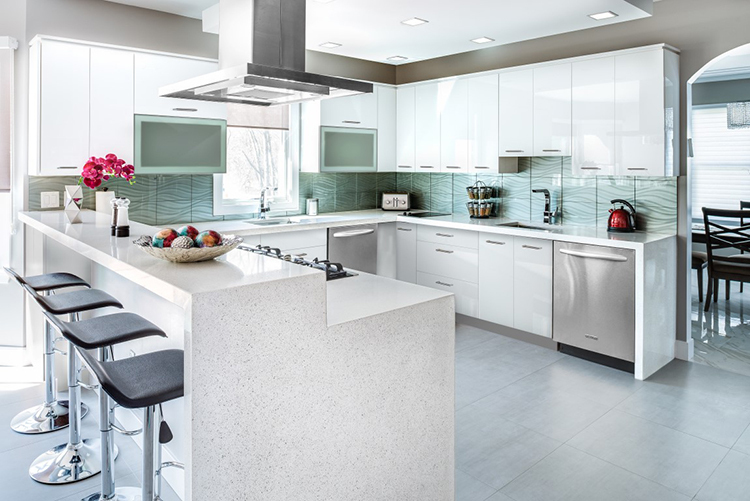 Let us know how you would accessorize an all white kitchen!